In the 1990’s TSW pioneered the race inspired hex nut look that was featured in designs such as the Revo and Hockenheim R, which have became a popular choice for both grass-roots racing and show cars. In 2011 TSW began to manufacture many of its wheels using a highly advanced production technique called rotary forging. The rim of the wheels is forged at high pressure while the wheel is spun at high speed. This alters the molecular structure and enhances the strength of the alloy. The benefit is a much lighter weight than a regular cast wheel. The weight saving is in the outer rim of the wheel which dramatically reduces rotational mass and enhances vehicle performance. Starting in about 2004 car manufacturers introduced more and more cars that were designed to take wider wheels on the back of the car. This became know as a staggered wheel application. 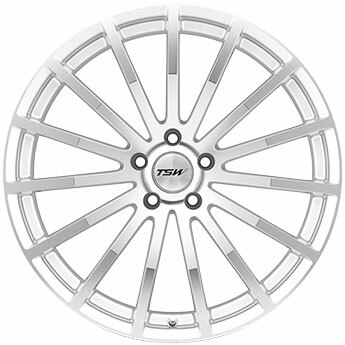 Today, TSW Alloy Wheels makes the largest range of staggered wheels in the world. 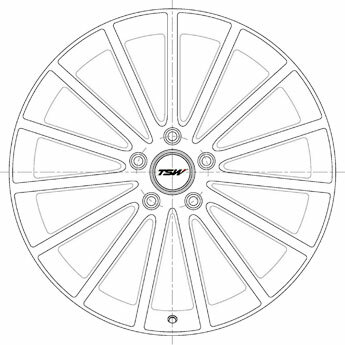 Many sizes carry three different widths to provide an array of fitment options. TSW has staggered wheels in sizes from 17" through 22".